Are you looking for a car to buy for yourself or your family? If that’s the case, you probably have a set of features and requirements in mind. A recent study found that fuel economy and reliability often trump safety when it comes to most wanted features. However, there are a few critical things you’ll want to keep in mind when it comes to the safety of you and your passengers. If you already have a vehicle in mind, do some research before buying it. Sometimes, a quick internet search will suffice to learn if there are known safety issues, certain parts were recently recalled, and other similar issues. The Insurance Institute for Highway Safety (IIHS) researched which 2012-2014 vehicles have the highest and lowest number of injuries based on the frequency of personal injury protection claims involving each vehicle. This one goes without saying – the newer cars are supposed to be a lot safer, simply because of vast technological improvements. Manufacturers are constantly working on improving airbags, seatbelts, and other parts, making newer models far superior. If you’re injured in a car accident, think about hiring a personal injury attorney. They will help you through the personal injury claim, help you assess parties at fault and if the car manufacturer is responsible. 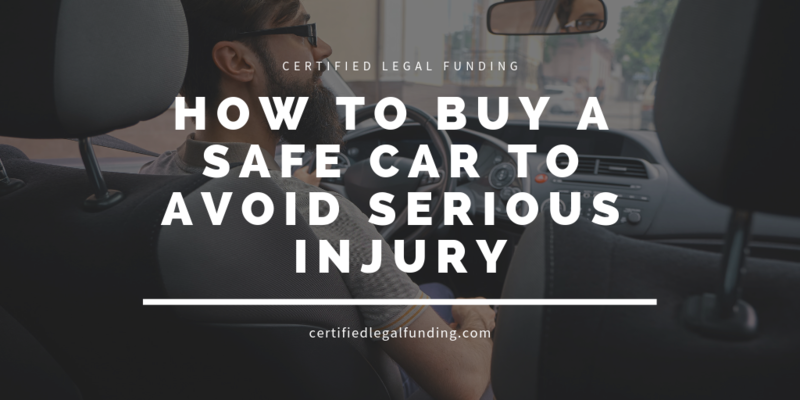 If you don’t have the cash for lawsuits just lying around, consider legal funding companies offering car accident loans and other types of legal finance loans. Getting legal funding for lawsuits in Tampa is a pretty straightforward process and you can get an advance in less than 24 hours. There are many benefits of buying a used car including lower prices and finding vehicles and features that are no longer being manufactured. However, if you choose to buy a used car, consider buying a used vehicle from a certified car dealership. Going to Craigslist has it benefits – less paperwork and better prices, but a car from a certified dealership will often be almost as good as buying a brand new one and often come with special warranties you won’t find on Craigslist. There’s nothing wrong not knowing much about cars – be it new or used ones. However, there’s a chance the seller will try to take advantage of your lack of knowledge of cars, so make sure you bring someone with you who does know about cars to help you spot a good deal and avoid scams. Does My Case Qualify For Pre-Settlement Funding?